Senior Director for Climate Change at the World Bank Group. Just consider a simple forecast. Without action, parts of Jakarta, Ho Chi Minh City, Bangkok and numerous other coastal cities around the globe will continue to sink faster than the sea level rises. We already know our coastal cities are under threat from rising sea levels, driven by climate change. Its estimated global sea-level rise of up to 0.6 meters this century will increase disaster risk significantly in coastal areas. 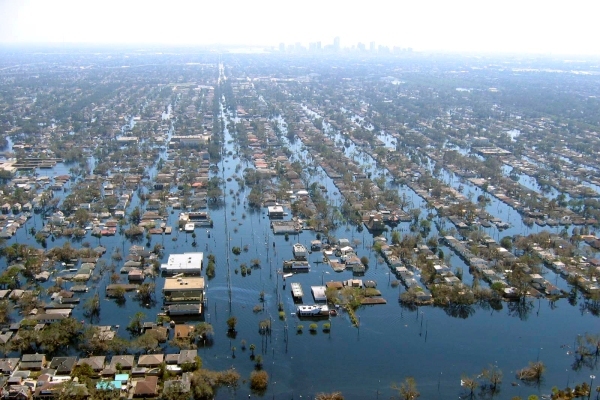 Many coastal cities and people are already among the most populous in the world and have a huge amount of infrastructure exposed to coastal flooding, high tides, and storm surges. And the rapidly growing population in some of the cities is driving up risk. Add in the face of changing coastal hazards driven by climate change, cities such as Mumbai, Karachi, Jakarta, and Lagos are among key areas cited in a new report on evolving disaster risk. But the report, The Making of a Riskier Future: How Our Decisions are Shaping Future Disaster Risk, also documents that the threat to some of the world's coastal megacities comes not as much from the sea but from within. Quite simply they are sinking because the land is subsiding. And as these cities sink, their risk from coastal flooding, high tides and storm surge rapidly rise. As researchers from Deltares point out, in many coastal and delta cities land subsidence exceeds absolute sea level rise up to a factor of ten. And for most of those cities like Jakarta, Ho Chi Minh City, Bangkok, Dhaka and Shanghai, the main cause behind the sinking cities is extraction of groundwater. Rapidly expanding cities require huge amounts of water for domestic and industrial use, often leading to overexploitation of groundwater resources. There are solutions that work. In large established cities such as Bangkok and Tokyo, policies and investments to restrict the amount of groundwater extracted have been shown to effectively reduce the rate of subsidence - and even help restore groundwater levels. And as the report points out policy makers in rapidly growing urban centers do have the chance to address the potential for subsidence long before it becomes an issue. It can be a costly issue. In Shanghai, from 2001 to 2010, the total loss due to subsidence added up to about US$2 billion. The case study of sinking cities is just one example of a number of risky hazards facing the globe amid warnings that the risks of tomorrow are being built today. And The Making of a Riskier Future report from the Global Facility for Disaster Reduction and Recovery (GFDRR) warns that there's a clear need to re-think the way we assess risk. It says most disaster risk assessment today are "static", too focused on understanding the risks of today and not the risks of tomorrow. We need an urgent shift in assessing risks to focus not only on what's driving up risk, but also the effectiveness of different policies f on reducing risk. It makes sense. For example, if no new cities were built or expanded into Indonesia's flood prone areas between 2010 and 2030, annual expected losses from river and coastal floods would be 50 to 80 percent lower by the end of that time, than if these cities were built. Clearly we are vulnerable in a risky world. But there are beacons of hope. On the bright side, the report says recent evidence shows that global vulnerability to flooding is declining, especially in low-income areas, in response to rising income per capita and efforts to adapt to a changing climate. But there's no single recipe for reducing the vulnerability of people to hazards like earthquakes or cyclones. Instead, we must look at all the available options, and if these don't fit, then we need to be creative and come up with solutions that do work. The report's key takeaway is that the drivers of future risk are within the control of decision makers. That gives them a huge opportunity today to manage the risks of tomorrow. It's an opportunity we must not lose.